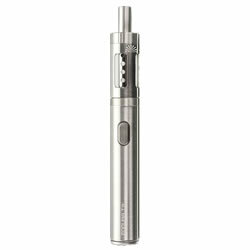 INNOKIN ENDURA T18E - SILVER kit buy from NUCIG UK. Menthol GREEN Lable 70VG/30PG 18MG Menthol GREEN Lable 70VG/30PG 6MG Menthol GREEN Lable 70VG/30PG NICOTINE FREE No Thanks. 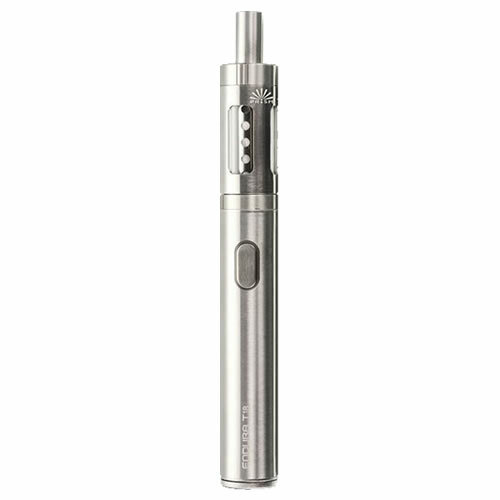 The ENDURA T18E Kit by INNOKIN has a matching colour battery and Prism airflow tank, which has a quick fill twist top system, for less mess and speed when filling up with e liquid. This Endura T18E also comes with a micro USB charger and a useful stand that is included, to help you store it. The battery is a respectable 1000mAh capacity which powers out at 14 watts for optimal performance with the 1.5 ohm coil. 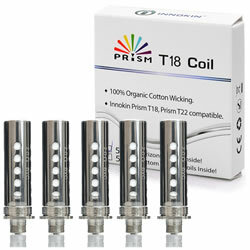 The coil also uses Japanese organic cotton wick material for a fuller flavour vape and satisfying cloud production. This is a brilliant product and I highly recommend it, especially for new users. The only issues I have are that you need to refill the tank frequently and to be extra careful not to get eliquid down the "chimney".